Here are some great tips you need to include in your semiannual boat maintenance checklist! Start with checking if the fuel system is grounded well especially at the filter, the deck, the tank, the pump, etc. You will have to be attentive about the fuel tank as well. Check to see whether the tank is subjected corrosion or contamination. It is also important to find out whether there are any leakages in the tank, the fittings as well as the hose. Double checking to see whether the tank is well secured is also quite important before you set sail. Make sure that the shut off fuel valve that is found on the tank as well as at the engine is well intact. Do remember to clean the compartment that secures the engine; especially remove the raggedy pieces of clothes or any other flammable substances that are around the engine. Ensure that you have taken necessary steps to protect the many parts of the boat including the hull, the shafts, rudder fits, fastenings as well as the bearings. 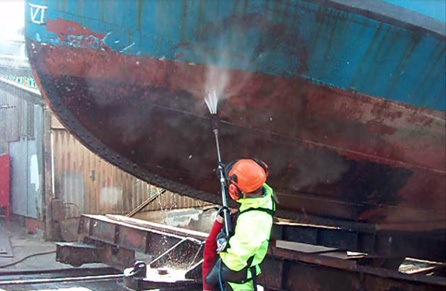 You can request a professional to apply marine coatings which are waterproof and protective layers that would shield the boat from unnecessary wear and tear. You will have to examine for corrosion in the parts such as the steering cables, engine mounts, linkages and wiring that are used in the engine. Do remember that zinc is prone to corrosion than any other metal. Therefore, look to reduce exposing parts that are made of zinc in the boat. If there are any corroded parts in the boat ensure that you consult a professional boat mechanic and get those parts repaired or replaced. This includes the electrical system in the boat. Ensure that the wiring of the boat is properly approved for marine usage. Check whether that the electrical system is bundled neatly and well secured. The electrical system of the boat needs to be well secured against the strain as well as peeling off and being chafed. Do remember that there should be enough flex amid the many connections to the engine as well as the bulkhead. The exhaustion system as well as the bilge need to be checked and properly cleaned as well. Also make sure that all the wire connections as well as terminals are well sealed in order to prevent corrosion. See whether the boat is well equipped with all the necessary kinds of extinguishers in required quantities. Also make sure that these equipment has been checked during the recent year. Look to see if these equipment can be easily accessible. It is also important that your crew is aware about the operation.